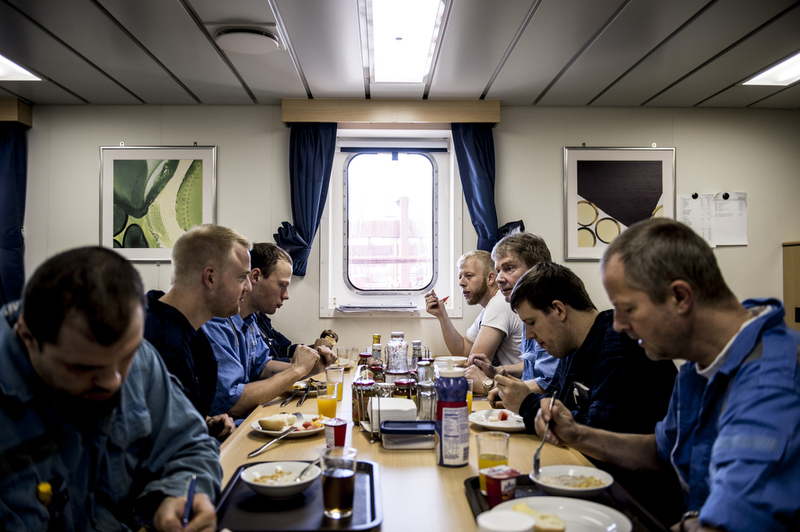 A vessel's crew is separated into three main departments: Deck, Engine and Catering. Master, Chief Mate, Second Mate, Third Mate, Cadet, Bosun, Able Bodied Seamen, Ordinary Seaman. Chief Engineer, Second Engineer, Third Engineer, Electrician, Fitter, Motorman, Oiler, Wiper. Although crew size can very between ships, most commonly a crew is made of 22-25 persons.